I really liked this novel. I love the cover too. I know you can't judge a book by its cover. This one looks like a postcard. the yellow flower and the sun with two girls holding hands, their heads up and proudly walking forward. 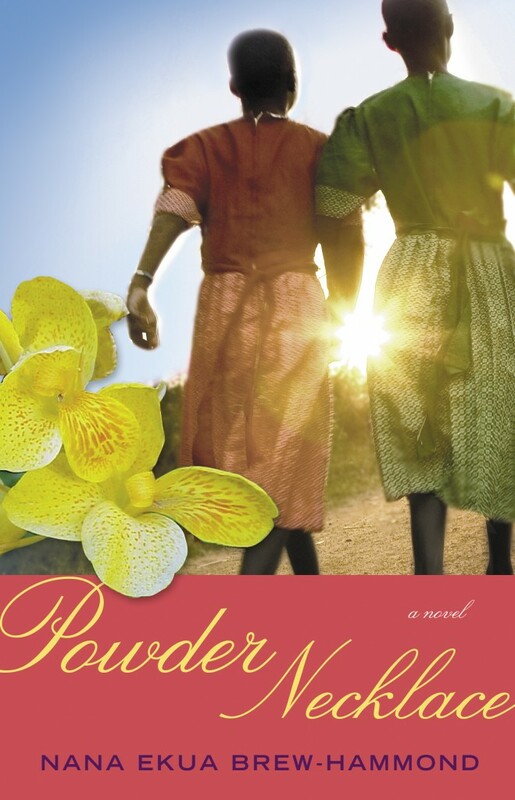 This book tells the story of an adolescent girl Lila, whose parents (from Ghana) were divorced. She was born in London and lived with her single mother, while her father lived in New York with his wife. On a bright blue day after an incident her mother considered awful enough to take a break from her, Lila was abruptly sent to a boarding school in Ghana. Most chapters of the book were based on narrations from her life in the boarding school and the huge changes she emotionally suffered as an adolescent. This is a story of a teenage girl who had to suffer the consequences of her divorced parents living apart in different continents. The effects and the consequences of their decisions on her life in the middle of her struggles to find herself and discover who she really was, often left her miserable most of the time. This is a book mainly for young adults and high school students however, it is a book any adult could enjoy and learn from. It also reminds me of Purple Hibiscus, 2003, Chimamanda Ngozi Adichie ***, another story of a teenage girl struggling to discover herself in the middle of circumstances that seem to be out of her control. I have to admit that Nana Ekua did a very good job on this book which was so well worked on. I know writing a novel requires a great deal of hard work but Nana Ekua beautifully wrote this book as if it was an easy thing to do. The story and the writings went together it was all unforced. This is her first novel and I heard she is working on a second one. Write everything you're feeling right now, then read it again a week from now. You'll be surprised how different you feel then. No story is every really "true". It's all filtered through perspective . Another talented African writer has been born. As I earlier said, this is a book I highly recommend mostly to adolescents and young adults. I read this story some time ago and loved it. In fact, I met the author at a reading we organised in Ghana and she was fantastic. That's great, I first read about her on your blog, I read the interview. She's got talent. thank you so much for your kind review, mary!! Dear Nana Ekua, the pleasure is mine to have you on my blog, it is an inspiration to keep up with what I do. I have always wanted to read this book ever since I read a review of it on Nana and Geosi's blogs. A fine review you have done here, Mary and now, more than ever, I must read it and then pass it on to my boy. Thanks for sharing and hope you are doing great. Celestine, nice to have you back. This is an easy read, Nana Ekua is one of the fast uprising talented Ghanaian writers. If you have a teenage boy, he would learn a lot from this novel. hey Ken, I am so sure you will learn a lot from this novel. If you went to borading school in Africa, which I did, you will find some similarities.